Ventana 750-701 Discovery XT Nexes Micro Controller PCB Board Assy. P/N: 1378901 . New Life Scientific, Inc. 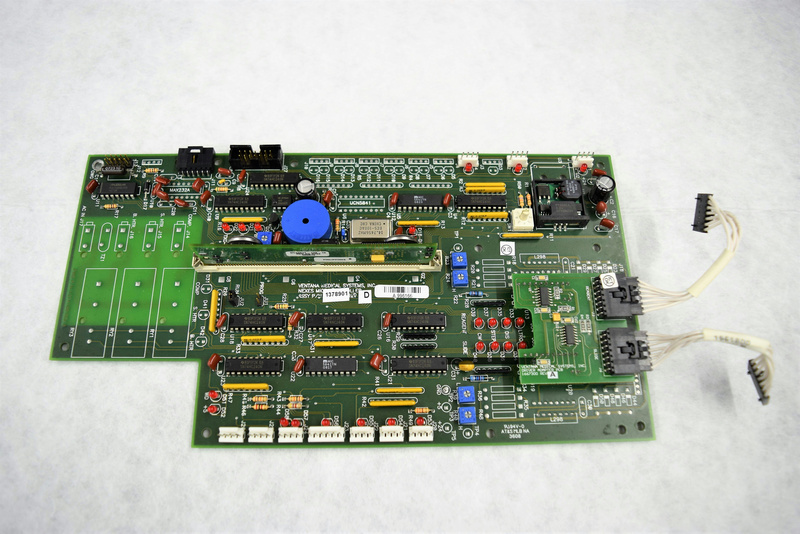 This PCB Micro Controller Board was removed from a Ventana 750-701 Discovery XT Automated Slide Stainer. The equipment is show in the photographs for reference only. New Life Scientific technicians removed this Micro Controller Board from a working environment. As always the buyer is protected with a money-back guarantee in case of malfunction.